A technology glitch in Facebook declared two million users dead and put up ‘memorial’ messages on their pages asking their friends to ‘celebrate’ the life of the departed. 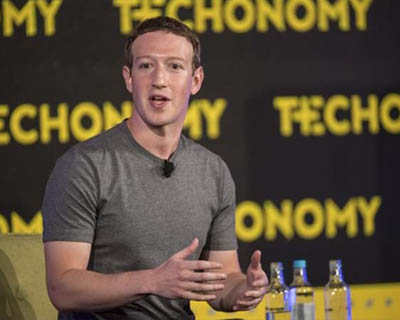 The glitch did not even spare Facebook’s founder Mark Zuckerberg, who was declared dead by the very platform he created. As the growth of Facebook peaks, it seems set to have more dead than living users. Knappily visits this virtual graveyard called Facebook. What is the latest mishap on Facebook? 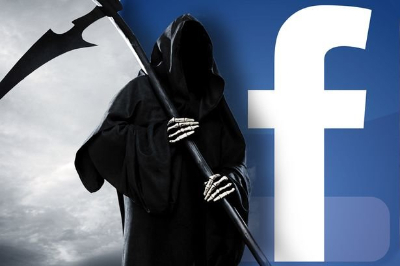 The most popular social networking platform Facebook, with 2 billion users, was recently plagued by an unusual bug which briefly labeled many living people as dead. 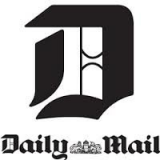 The bug attacked the profiles of nearly 2 million people by displaying a memorial banner at the top of the user profile. The bug did not spare even the founder and CEO of Facebook, Mark Zuckerberg, and declared him dead. 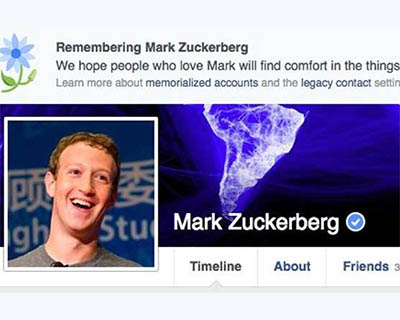 Mark’s profile, like that of millions others, read “Remembering Mark Zuckerberg. We hope people who love Mark will find comfort in the things others share to remember and celebrate his life. Learn more about memorialized accounts and the legacy contact setting on Facebook." The mass killer of the virtual world was short-lived and it was fixed quickly but not before it caused ripples on the social media platforms. The dead, however, had to prove that they were alive.Users posted status updates to reassure friends and family they were not dead, despite Facebook's message. Why did this glitch happen? 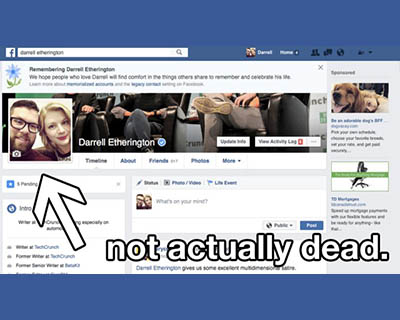 Facebook has a protocol for ‘memorializing’ a person’s page when they actually die. By doing so, Facebook allows the family and friends of the dead to remember the person and pay tribute to the life and times of the departed soul. 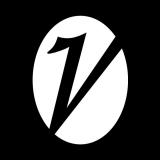 The company’s spokesperson explained that the glitch happened when the company was intending to introduce the new messaging to the existing memorialized pages. By mistake the message got displayed on the profile of two million other users, making them digitally dead. The users who experienced the glitch said the ‘Memorial’ banner appeared automatically on their account, without triggering any notification, and disappeared minutes later. As it turned out, this apology was not a glitch. The dead were resurrected and all was fine in the virtual world. When will Facebook turn into a virtual graveyard? It is a growing graveyard now. But as per one analysis, by the end of the 21st century, Facebook will have more dead people than alive. Actually, Facebook does not automatically delete dead users. And the dip in the rate of the membership of the site means that there will be a time when the living will be outnumbered by the dead. 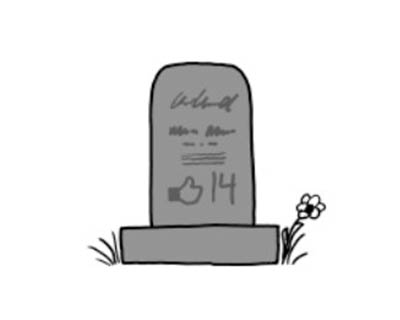 The breakeven point (when the dead will equal the living) will be 2098 and by then Facebook will turn into the world’s biggest virtual graveyard. It is claimed that 970,000 Facebook users will die in 2016 alone across the world. That compares to 385,968 in 2010 and 580,000 in 2012. The above analysis has been performed by Hachem Sadikki, a PhD candidate in statistics at University of Massachusetts. Sadikki of course has made an assumption that Facebook will not change its existing policy on how to handle dead users. The other assumption, which seems more accurate, is that Facebook’s growth will be slow in the coming decades. Where does the criticism of Facebook’s policy on the dead come from? Currently when a user dies, Facebook does not delete the account and instead turns it into a ‘memorialized’ version of the page. The only way to delete the account of a dead person is if somebody has their password and can login (which is highly unlikely) and close it down. This policy on dead users had led to criticism as some families want more control over how their loved ones are remembered online. The policy looks weirder when dead people still appear as having birthdays in users’ news feeds. 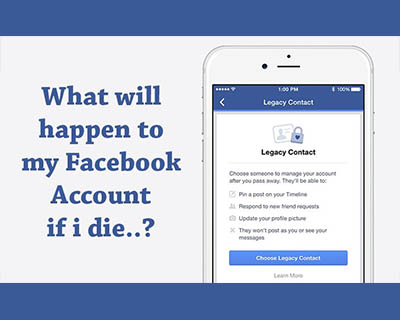 As a solution to the problem, Facebook has been asking users to appoint a ‘Legacy Contact’, a sort of online executor of their will, before they die. The Legacy Contact can administer the page after one passes away by writing one last post and even approving new friend requests. The contact can also update the cover and profile photo to something more appropriate after the user had died. The legacy contact will NOT have access to your private messages, mails and chats; so all that you hide from the world right now will remain hidden. When you will leave the real world, you will have say goodbye to the virtual one too. Go ahead, choose a legacy contact. Who said what on the latest Facebook glitch? Facebook Exec: Facebook Dead Mark Zuckerberg: Bingo. Facebook is so pervasive that it knows I died before I knew myself. Guys according to Facebook I’m dead now. On Twitter I’m still alive. According to Facebook, i died Thank God. Facebook thinks I'm dead, which is about as accurate as its ability to share factual news. Facebook Thursday: Fake news is not a problem. Facebook Friday: Mark Zuckerberg is dead. Your friends are dead. We are all dead. How has Facebook allegedly influenced the US elections? In both the run-up to the US Presidential election and its immediate aftermath (Trump win), there have been arguments that Facebook helped make a Trump presidency possible — that, by design, Facebook helps breed misinformation and encourages the spread of fake news. Such fake news can shape voter opinion especially when the voter is still undecided. 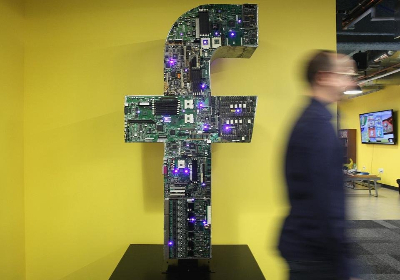 It has been accused that Facebook’s News Feed algorithm and Trending Topics section helped spread misinformation showed users’ partisan articles and hoax news stories during the elections. Critics claim that Facebook has failed to crack down on fake stories, which often spread virally around the site. 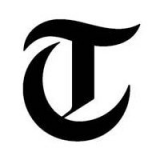 It has also been accused of creating a “filter bubble” effect in which the News Feed ends up only showing content that supports users’ own political inclinations. He also said that in comparison to traditional media, Facebook shows more diverse information but mostly people do not engage with the news items which do not fall in line with their world views. The big concern: Facebook has so much power and influence over the content its nearly 1.2 billion daily users see that it could conceivably influence the outcome of an election. Case-in-point: If Facebook is to be believed, Hillary Clinton has deep ties to satanic rituals and the occult. A post which claimed this (with ‘proof’) has nearly 3,000 shares, and links to a story on a conspiracy-laden political site. Though the news is obviously fake, it may have played a role in changing the minds of a few hundred vulnerable (those who take social media as true in itself) users regarding the choice of their candidate for President. There are thousands of such fake stories. The total impact may run into a million plus voters.